TOWCESTER TAXI AIRPORT TRANSFERS 01908 263263 RELIABLE ROAD TAXI TRANSPORT: Is London closed for business? 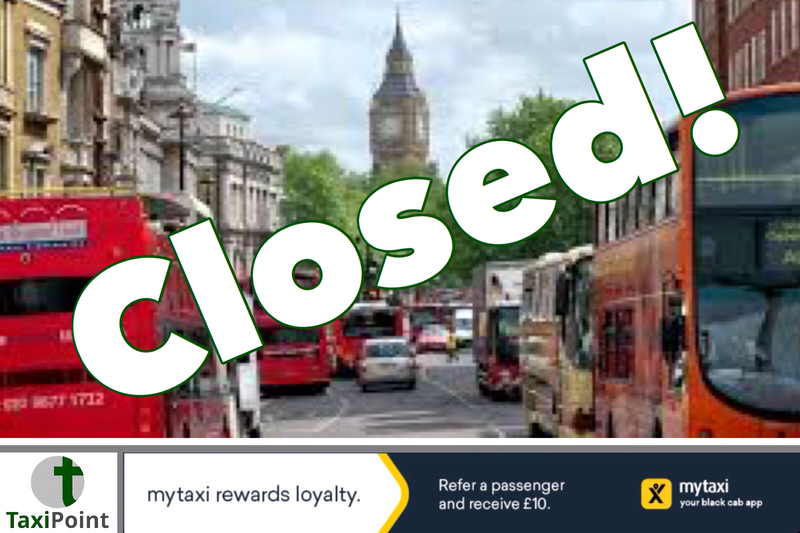 Is London closed for business? With the maniacal obsession afforded by almost every single council, as well as the GLA in seemingly attempting to bring London to a grinding halt, the question has to be asked, who does it serve?Between the abomination to just about every motorist, that is the cycle superhighway, to the latest wheeze from Hackney and Islington councils in shutting down 9 minor roads to non-electric vehicles, the amount of damage being done to London cannot be over-stated.Roads are becoming more and more polluted, leaving drivers stranded in non-moving traffic, slowly being poisoned by stinking fumes. The diesel and petrol driven vehicle is being blamed for this occurance, however the real villain of the piece are both the local authorities and the GLA themselves, they are suffocating London through constriction, so as to a Utopian agenda.Moving vehicles are less polluting vehicles, that is a scientific and mechanical fact which cannot be debunked.....static traffic is a killer, yet this just does not seem to compute with some councils because it is an inconvenient truth. We have the Congestion Charge in London, along with the Toxicity Charge, and ironically enough, swinging back to the lunacy which is the 9 streets in Shoreditch, you still cant use those roads, despite paying in two seperate ways for the privilege. You couldnt make it up.It has to be said that the move to vehicles with an alternative drive train is a positive and should be encouraged, however this takes time, and poorer families are being heavily penalised.At the moment it is all stick and no carrot, and worryingly this could end up with thw general public exercising a display of defiance, saying "this far....and no further"......and they would be fully justified in doing that.After speaking to dozens of members of the public, the one common denominator is that there is almost no support for any of the current schemes.....and no confidence in the local authorities either. All the puvlic are seeing is co.plete gridlock, artificially engineered.Obviously a general conversation is no basis for a survey, but it is also telling that these individuals are so disenfranchised by various local authorities that they cannot be bothered filling out survey after survey for any given council, due to the the fact that they have zero confidence in any given council actually listening, unless of course it suits a councils agenda.We have already had TfL proclaim that some of the cycle superhighways were a folly, we've had a tribunal dictate that Camden Council should alter the fiasco surrounding the cycle lanes around Tavistock Square, we've had Westminster Council "coalbox" TfLs aim of pedestrianising Oxford Street.....and in the meantime Londoners suffer.Suffocating London isn't, and never was the answer, right now we have notging more than a triumph of ego over common sense.The solution isn't rocket science....keep London moving by making sure the current volume of traffic can flow, whilst working to an edict of encouraging people to switch to alternative vehicles without continually finamcially penalising them.The choice is simple, open up the capitals road...or watch the capitals economy slowly collapse as businesses move away from London.